Retro vector footage of guns and roses. 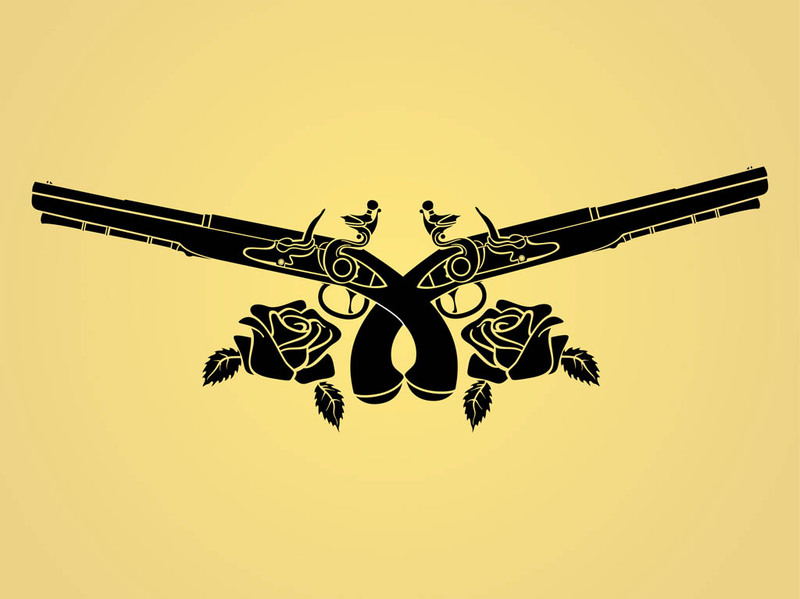 Crossed antique pistols with long barrels, ornamented hammers and blooming roses next to the handles of the guns. Free vector graphics to create weapons, weaponry, firearms, antique guns, gun collections, violence and crimes visuals. Tags: Firearms, Flowers, Guns, Pistols, Roses, Tattoo, Weaponry, Weapons.